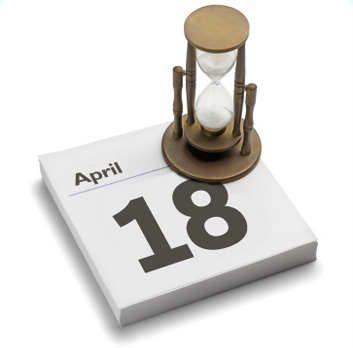 With our tax returns due in just two days away – April 18th – You still have the option of filing for extension if you need more time to get your returns completed. – You don’t have all the information and documents ready (for example, a member of our team had a baby was born abroad and they needed to wait because they didn’t have heir Social Security number yet) – file your taxes once and accurately, take your time as it’s much better than filing amendments later; you may also be tempted to forgo further analysis of your tax situation that could potentially lead to lowering your tax burden. – Making errors – trying to beat the deadline can cause making errors; this can be costly – as in dollars out of your pocket – and you are guaranteed to be on the losing end; if you overstate your taxes by missing deductions – you lose; if you understate your taxes you risk raising a red flag and an audit. Note that by filing for extension you avoid failure-to-file. Important: be aware that filing for extension only grants you the right to file tax returns by a later date. It does not grant you the right to pay your tax liability at the later date. If you think you owe money to the government, make sure to make a payment regardless of your extension request. How to file for extension. Fill out Form 4868 and get automatic six-month extension – until October 16. The form is very straightforward and should take little time to complete. It can be filed for free using IRS’s freefile on irs.gov. Alternatively, if you’re making a full or a partial payment on or before Aril 18 using IRS Direct Pay or EFTPS, select Form 4868 as a type of payment to indicate a request for extension. If you expect to receive a refund on your tax return, then there is no cost associated with filing for extension. The only price is getting your refund when you actually file taxes. In case you owe money to Uncle Sam, you will be assessed an interest on the amount you owe and a late filing penalty. Even if you don’t have the entire amount you owe, it is recommended to file taxes and pay as much as you can. Any interest will be based on the difference of what you owe and what you paid. You can later work with the IRS on the remainder of your tax liability. 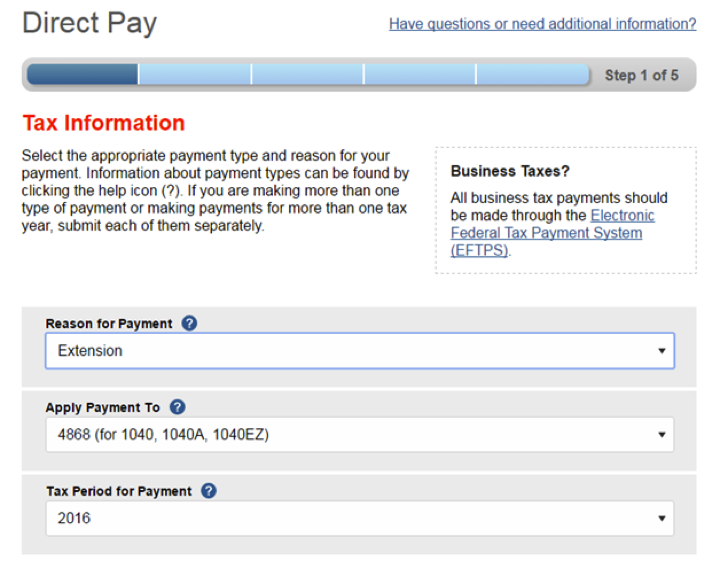 Form 9465 is a request for installment payment.